We offer a vibrant MA program in German, with tracks in literature, linguistics, and interdisciplinary studies, and we are always interested in strong, new students. Our graduate students, former and present, have come from a variety of countries (e.g., Cameroon, Germany, Lithuania, Poland, Ukraine, and others) besides the US, making for a truly international group, all united by an interest in German. Tuscaloosa is also home to Mercedes-Benz US International, and the city has a substantial German community. All of this provides for a rich learning environment. If you can see yourself in such an environment, visit or contact us, or simply apply. All German MA students are strongly encouraged to study abroad in a German speaking country to enhance their German skills. 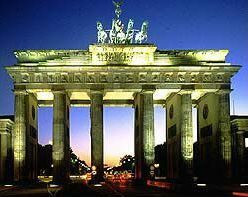 The German program provides several study abroad opportunities. Students may also apply for residency in the German House on campus. Plan I (24 hours of coursework and a thesis) or Plan II (30 hours of coursework, no thesis). In addition to German literature courses, students must take GN 510 History of the German Language and 3 hours of Middle High German. With the approval of the German graduate adviser, 6 hours of graduate work in a related field may be applied to the degree. Plan I (24 hours of coursework and a thesis) or Plan II (30 hours of coursework, no thesis). Students must take 15 hours of German literature/culture and philology courses, 3 hours in German history, and one 3-hour interdisciplinary seminar. With the approval of the German graduate adviser, 9 hours of graduate work in a related field may be applied to the degree. Plan I (24 hours of coursework and a thesis) or Plan II (30 hours of coursework, no thesis). In addition to philology courses, students must take 6 hours of German literature. With the approval of the German graduate adviser, 9 hours of graduate work in a related field may be applied to the degree. EH 622 Old English may count as a German course for candidates in this concentration. Most of our students receive a graduate teaching assistantship. This assistantship is guaranteed for two years in order to complete your degree, pending successful completion of coursework. The graduate teaching assistantship covers full tuition, basic health care, and a monetary stipend. In return, Graduate Teaching Assistants (GTAs) register for courses following the requirements of the Graduate School as outlined in the Graduate Catalog, and assist the program 20 hrs per week. As beginning GTAs, students assist professors, help tutor undergraduate students, and help the German program with the completion of various tasks. GTAs are expected to attend departmental and program functions. After the completion of 18 hrs of graduate studies (6 courses) GTAs teach elementary German language classes and continue to assist the program with lesser hours. All graduate students (non-native speakers) must pass the German language proficiency exam level C1 at the latest towards the end of their studies. The University is a certified testing center for the Goethe-Institut, and the exams are offered on campus. For more information about graduate studies in German, please contact the graduate advisor for German, Dr. Rasma Lazda. If you’re interested in the German philology/linguistics track, contact Dr. Doug Lightfoot.